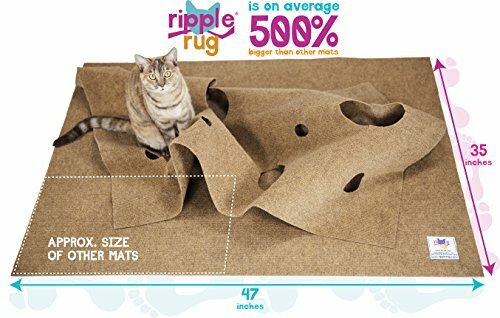 This Amazon offer is for the original version, not the newly released version 2 ***The Ripple Rug is a versatile pet / cat activity mat designed to meet your cat’s natural instincts. It’s a first of its kind invention. 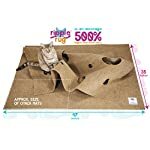 *Visit the official Ripple Rug site to watch videos in action! 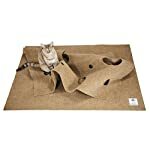 * It meets all 5 pillars of a healthy feline environment; a Secure haven, a predatory play space, an environment allowing positive human interaction. 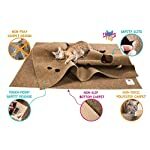 It respects a cat’s sense of smell, and is a place to rest and get well. 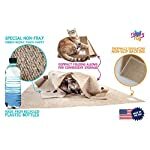 ‘Made in The us’ the use of 100% recycled plastic bottles, it’s strong and durable, soft, yet perfect for kitty claws or teeth. 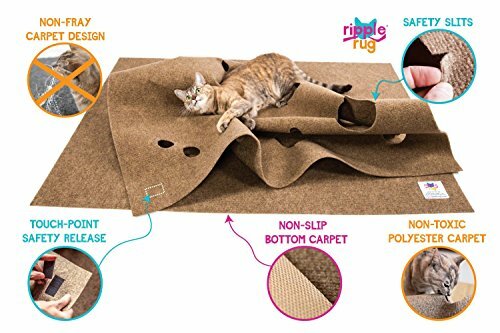 Your cat will love the coziness of the ripples to sleep + snuggle in or on top. 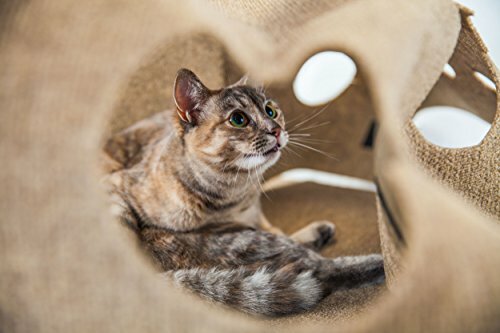 You’ll be able to reshape it anytime to give your cat a new play space. 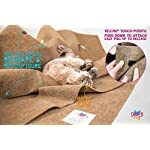 The touch points allow for simple ‘lift and release’ so You’ll be able to easily create new shapes. 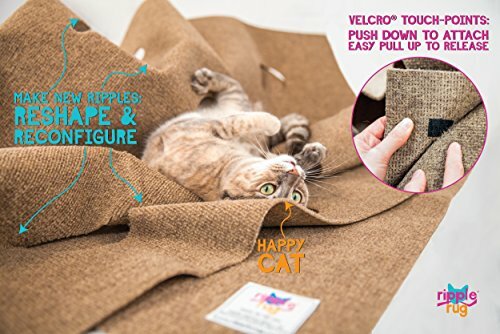 Change it daily, or leave alone and watch your cat reshape it, by pushing against it. The varied sized holes act as tunnels and hideouts, holes may also be expanded. 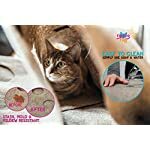 Cats love hiding inside or stalking you. Don’t be surprised if they jump out to tap your leg and pounce as you walk by. 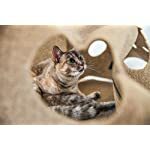 The small holes are ideal for a cat to stick their paws through and play with you. 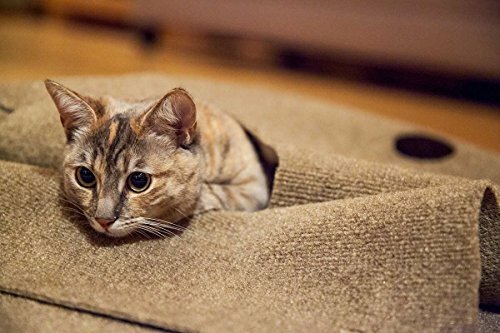 All medium to large holes have safety slits for larger cat expansion. 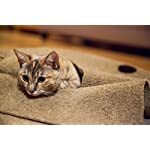 The non-slip rubber bottom is insulated; providing a cozy bed that deadens sound; NO POWER REQUIRED. 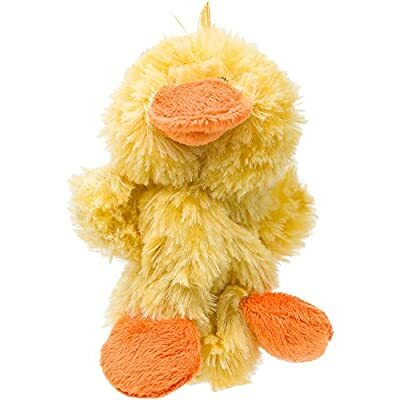 It’s Non-Toxic; Mold, Mildew, + Stain resistant. It has been laboratory tested. Wash with just soap and water. 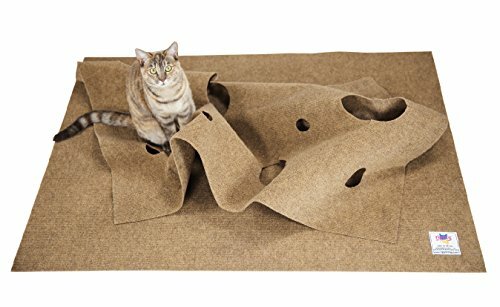 Unlike large cat furniture, it folds up for easy storage. 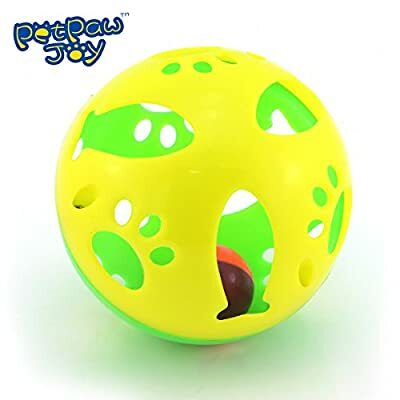 It’s super light, making it very portable for indoor/outdoor use. 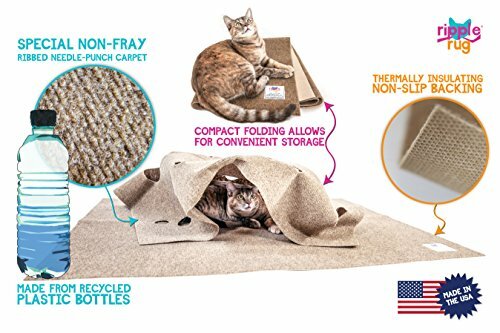 Move it around from room to room, give your cat “its own” place near you. This is especially great when working on my laptop, our cat loves sitting on the rug instead of my keyboard. 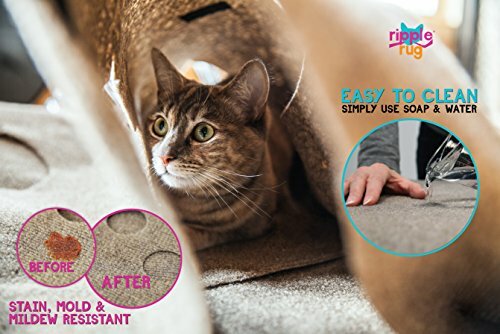 Your cat will like it and so will you! We are proud to say it is ‘MADE IN THE USA’.